Happy Labor Day! Are you taking it easy this weekend or finishing up some projects around the house? We are doing both. School and life schedules have been a little hectic lately so it’s kind of nice to tackle a few home maintenance tasks and still enjoy some relaxing downtime with the family. With fall coming up, I thought I would share a recipe that has turned out to be my husband’s favorite. 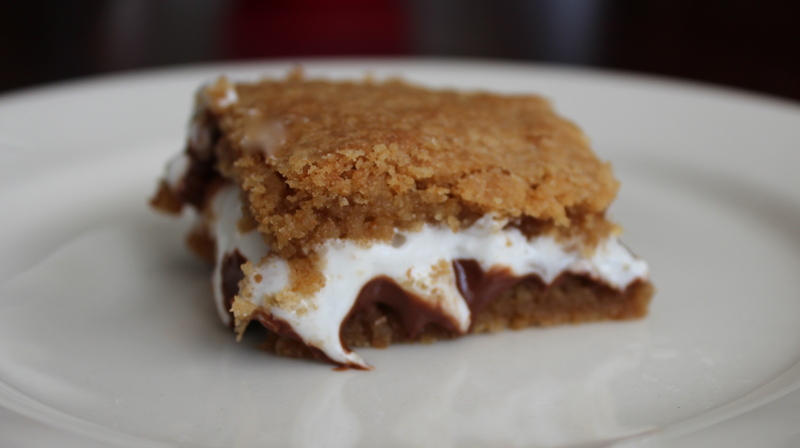 The old-fashioned S’mores are fun to make, but these S’mores bars take that dessert up a notch. Let’s call it the gourmet version for adults. Enjoy your day however you choose to spend it! 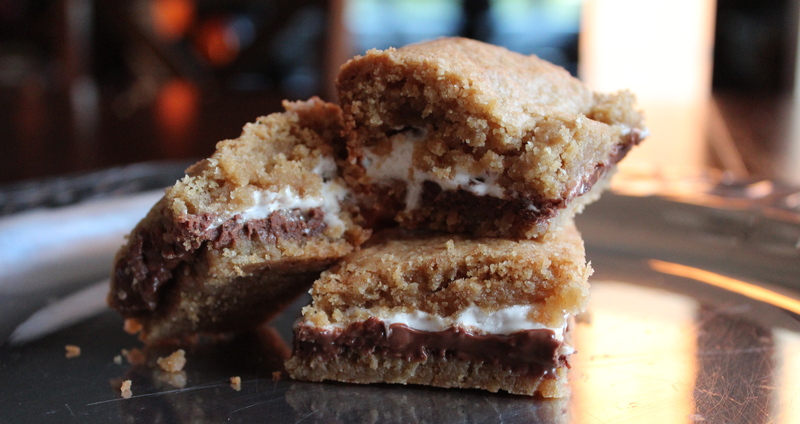 In a mixing bowl whisk together graham cracker crumbs, flour, baking soda and salt until combined. Set aside. In a separate bowl, cream together butter and sugars. Add egg and vanilla and mix again. Slowly add dry ingredients to wet until dough begins to form. Separate dough in half. 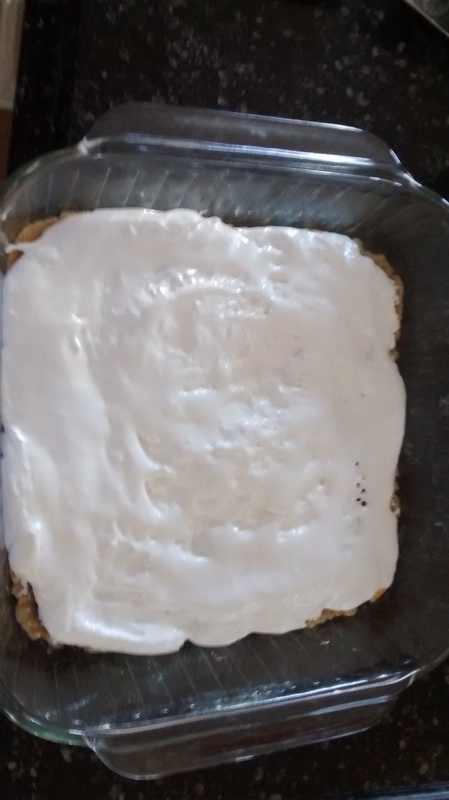 Take one half and place in bottom of baking dish. You can use a flat-bottomed glass sprayed with non-stick cooking spray to evenly spread the dough out. 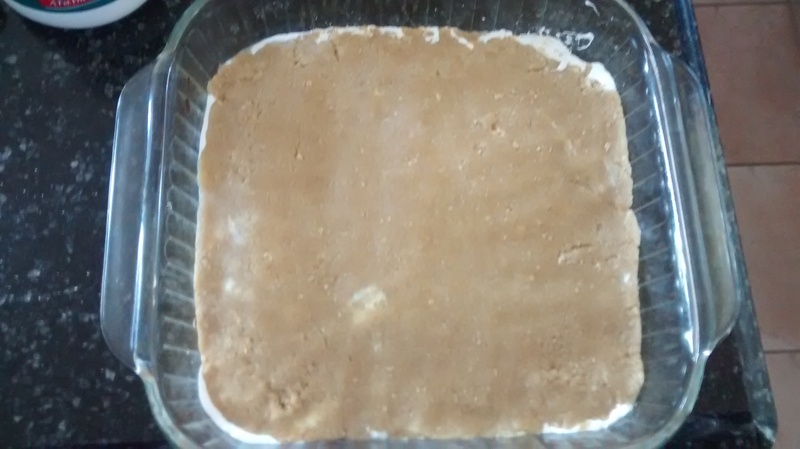 Remove this piece of dough from your pan and place on a non-stick cookie sheet as you will be using this as your final layer. Now, take your other half of dough and press this into the bottom of your pan. Take your chocolate bars and place on top of the dough. Carefully spread out marshmallow Fluff evenly over the top of the chocolate layer. 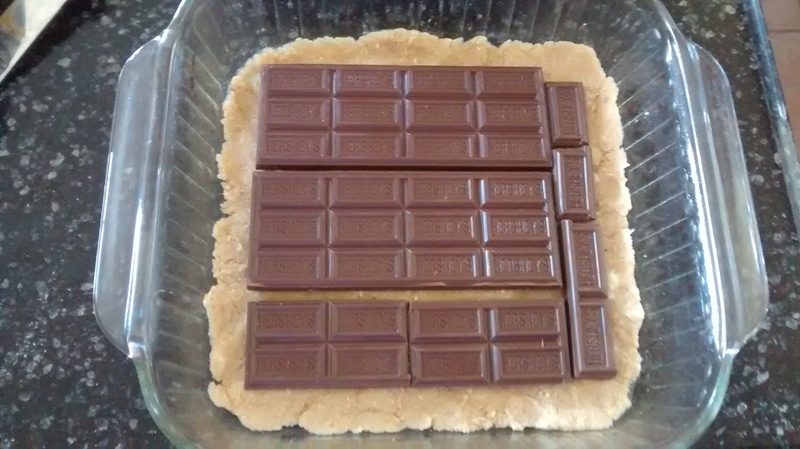 Bake in oven for 27-30 minutes, until top layer is golden brown. Enjoy! If I can make one more suggestion, use a spoon to get out the last bit of marshmallow creme to make your own peanut butter/Fluff sandwich. Remember those? Mmmm! So good. oooh yes please! What a yum treat.